English, LOTE, Drama, Music, PD & HPE: Reading, Storytelling, Italian, Cultures, Identity and Personal Development, Interpersonal Skills, Peers, or as a great motivator for the Premier’s Reading Challenge. Promoting the magical world of books and the knowledge they contain. 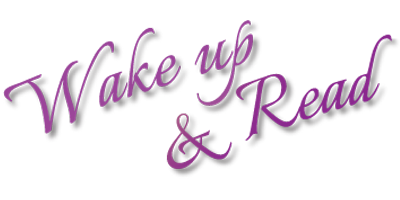 Wake Up and Read is a funny, well paced comedy incorporating music, drama, mime, puppetry, magic and circus skills all linked with short charming tales about growing up in Australia. Each tale is another piece in the puzzle of how Frank, the son of an illiterate Italian migrant, became an avid reader and came to do what he does today. Students hear the stories behind the comedian as Frank takes us back to those moments that have shaped his life. We share his parents’ surprise when he first announces that theatre is the job for him. Another story tells how a playground bullying incident led to a lasting friendship with a fellow student who told him that he could find much of the information he would need for his new career, in books from the school library. Using a great sound system and wearing a lapel microphone, Frank tells some of his story as Rap and Country and Western songs. Wake Up and Read is an engaging performance that encourages reading, both for pleasure and research, with positive background messages of multiculturalism, social harmony and anti-bullying. Magic tricks and juggling were exceptional and had all children eating out of the performer hand. The senior students in particular were spellbound and had no idea how the tricks were performed. Frank's performance was well recieved. He showed himself to be very innovative. Richard Bushell. K to Year 6. Flinders Park Primary School. Albany. WA. 23/05/2017. The kids loved the magic. The older kids also loved hearing about how he became to be a magician through reading books. Liz Ottone. St Augustine's School. Mossman. QLD. 15/08/2017. Excellent. Very entertaining and still able to deliver an important message to the audience. Hilarious! Frank was AMAZING!! His ability to perform magic and “wow” the audience is something needed to be seen! Belinda Brian. K to Year 6. Lower Tully State School. Lower Tully. QLD. 5/11/2014. Frank was a natural performer, kept the kids entertained and fascinated with his magic tricks, puppetry and rapping. Great messages on anti-bullying and getting along. Well done Frank! Annette Kriketos. K to Yr 6. Hornsby Shire Library. Hornsby. NSW. 21/08/2014. Price: $5.50 per student ($5.00 + $0.50 GST). Suitable: Preps, K to Year 7. Minimum Audience Size: 120 students. Times: Show: 50 minutes. Set up: 50 minutes. Pack up: 50 minutes. Requires an indoor performing area 4m deep x 5m wide.